I. Why Learn about Type? Personality typology is the study of personality types. Conceptions of different temperaments or personality types have been around for millennia, seen as early as the ancient writings of Galen and Plato. The typology of the 16 types, which is our primary focus here on Personality Junkie, is based on the seminal work of Carl Jung, which was later developed and popularized by Isabel Myers and Katharine Briggs (i.e., “Myers-Briggs”). Better Understand Yourself (& Others). Learning about yourself, as well as your friends and family, can be a lot of fun. 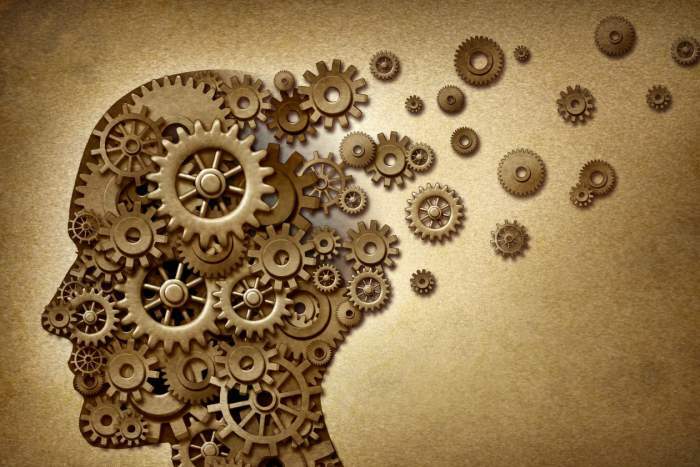 It can also provide important insight into our thoughts, emotions, attitudes, and behaviors. It can explain, for instance, why some people need more time alone while others prefer to surround themselves with people. If you enjoy observing and analyzing people, typology provides you with a time-tested set of tools for accurately analyzing and understanding human behavior. Clarify Your Life’s Purpose. In today’s world of ever-expanding options, it can be difficult to determine who we are and what our primary purpose is. This was one of the main reasons I was drawn to typology. I wanted to better understand myself in order to know what I should be doing with my life. Although typology cannot tell you exactly what you should be doing, it can provide some much needed insight regarding who you are and what sorts of things you were born to do. Career Insight & Guidance. Personality Junkie can help you match your personality type with a career, job, or college major that suits your type’s natural strengths and interests. Our Career articles highlight careers and vocations that are best suited for the various personality types. Better Relationships. Many people are familiar with the “Men are from Mars, Women are from Venus” concept. But such notions only scratch the surface of human relationships. By slicing the personality pie into 16 different types, it is possible to achieve much greater accuracy and specificity in understanding your own, as well as your partner’s, personality and behavior. Therefore, typology can serve as useful tool for understanding and improving your personal relationships (for more on this, see our Relationship articles). Personality Tests. Personality tests can help you identify or clarify your type. In many cases, people hover between two or three types before zeroing in on their true type. We offer a free personality test, as well as two type-specific tests—The INFJ-INFP Type Clarifier and The INTJ-INTP Type Clarifier—to help you clarify your type. Learn about the Preferences & Functions.Each personality type has four preferences and four primary functions. These are the basic “ingredients” that combine to make up each personality type. I provide a general overview of the preferences in the next section below. After learning about the preferences, you can take the next step and begin learning about the functions. At some point, you can dive even deeper by working to understand “the functional stack” and other elements of type theory. If the preference and functions are the basic “ingredients” of the types, the functional stack is the “recipe” or “formula.” It predicts the degree to which each function is used (i.e., the relative strength of each function) as well as the ways in which the functions interact to give us the final product of the personality type. Read about the Personality Types. We provide online profiles for each of the 16 personality types. 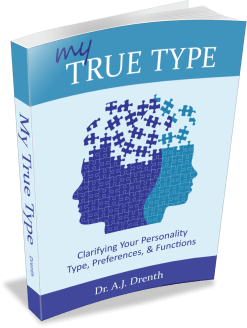 You can also explore our eBooks, My True Type and The 16 Personality Types, which are designed to help you clarify and better understand your type. As indicated above, each personality type has four basic preferences. The four preferences for the INFJ type, for instance, are Introversion (I), Intuition (N), Feeling (F), and Judging (J). It is important to realize that no preference (or personality type) is inherently better or more desirable than another. To function well as a society, we need all the personality types. Therefore, the point is to figure out what type you are, not the type you might like to be. What follows is an overview of the four “dichotomies,” each of which is comprised of two opposing preferences. For those of you who are math geeks, this gives us 4 dichotomies x 2 preferences per dichotomy = 8 available preferences. Not all introverts are socially awkward or anti-social, nor are all extraverts social butterflies. With that said, it is generally true that introverts need more time to themselves than extraverts. Some introverts can feel overwhelmed by too much external noise or activity, which prompts them to withdraw into quiet spaces to catch their breath. Extraverts, on the other hand, tend to need outside stimulation to prevent boredom. Some may seek this from people, while others may turn to physical activity or various forms of media. In short, since introverts are more readily stimulated by their own minds, they are often happy to be alone. Extraverts, by contrast, are less self-stimulated and are therefore more apt to seek outside sources of stimulation. According to Jung, we have two basic options for taking in information: Sensing and Intuition. The currency of Intuition is abstract information, that is, information not available through the five primary senses. Intuitives are drawn to ideas, patterns, theories, fantasies, hypotheticals, and/ or possibilities. They are readily bored by the day-to-day, concrete activities of life. They prefer to look beneath the surface in order to understand how things (or people) work, as well as how things are connected and interrelated. For this reason, they often enjoy discussing abstract matters like theology, philosophy, political theory, psychology, etc. In seeing everything as complex and interwoven, they also tend to understand issues of truth and morality in less conventional or more nuanced ways. Sensing types, by contrast, are generally more practical and “down-to-earth.” They are more at home discussing and partaking in everyday affairs. While Intuitives can spend a lot of time reflecting on and contemplating life, Sensors are more content to simply live it. They are typically task-oriented, doing what they need to do without over-analyzing things. The Thinking-Feeling dimension is the only dichotomy where gender seems to play a role, with men typing more often as Thinkers and women as Feelers. And since this is Typology 101, we will keep our description of this dichotomy fairly concise. Thinkers can be understood as preferring “head over heart,” logic over feelings. They are less immediately concerned with the needs of others, focusing more on pursuing their own interests and objectives. Feelers, by contrast, are more in touch with their feelings and emotions. They are generally more caring and compassionate with respect to other people. It’s not that Thinkers don’t feel or Feelers don’t think, but only that they differ in the degree to which they lead with impersonal logic (T) versus feelings and values (F). The Judging-Perceiving dimension is a little more difficult and can be more confusing than the other dichotomies. For now, what is most important to know is that J-P refers primarily to outward behavior and attitudes. In other words, it does not involve how you see or understand yourself from the inside, but how others might see and characterize you from the outside. You may even want to ask others how they see you to help you clarify your J-P preference. P-types are outwardly receptive and adaptable. They are less apt to readily declare their opinions or impose their will on others. Consequently, they are, rightly or not, often perceived as good listeners and non-judgmental in their attitude toward others. J-types are outwardly firm, direct, opinionated, and decisive. They are more inclined than P-types to directly declare their views or wishes. Others may turn to the outer strength of J-types in situations requiring a firm decision or conclusion.